Former Charleville hurler Dessie Fitzgerald opens up about the spinal cord injury that changed everything for him. 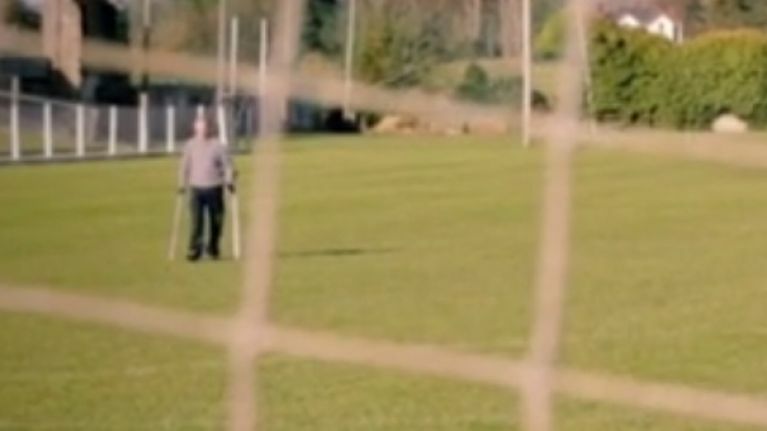 It's been almost four years since Dessie suffered the devastating injury when he lined out for Charleville in a county semi-final against Kilbrin. In an in-depth interview with GAA.ie, Dessie reveals the emotions that he experienced when returning to the pitch where his life was altered forever. "The memories I had of that pitch beforehand were of a fit, healthy young man, very athletic and keen on sport. That was the last time I was there," he said. "This time I was going up there, having been in a wheelchair and then on crutches. Walking out on the pitch brought it all back. The Dessie Fitzgerald Injury Fund was officially launched in Charleville GAA Club on Friday night. For more information about the injury fund and to make a donation log on to www.dessiefitzgerald.com. Follow @dfitzinjuryfund on Twitter and like the official Dessie Fitzgerald Injury Fund Facebook Page. “I can remember the event, where it happened, I can even remember the corner forward from Kilbrin going to hit the ball on the ground, hoping to score a goal. I remember just sprinting back and saying to myself, ‘I need to save this, I need to get to this and not let them score before half-time’.